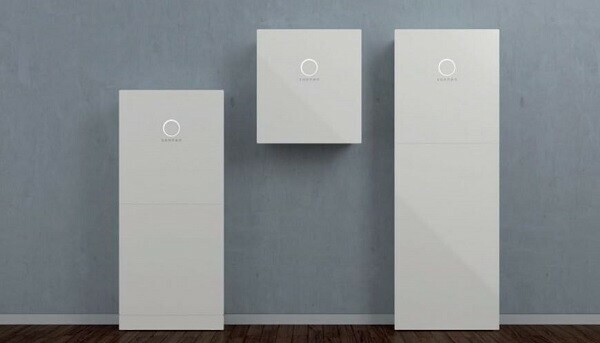 Australia has been tipped to become the biggest home battery market in the world in 2019, with solar households forecast to install tens of thousands of energy storage systems. In a report published on Wednesday, Bloomberg New Energy Finance has predicted more than 70,000 Australian households will install batteries this year, tripling demand for home energy storage. This world-leading growth will be driven by $147 million in state government subsidies and other incentives, as well as low-interest loans and demand response schemes, the report said. A win in the federal election to the Labor Party would further driven momentum, with a Shorten government promising a further $A200 million to subsidies for another 100,000 household batteries from 2020. 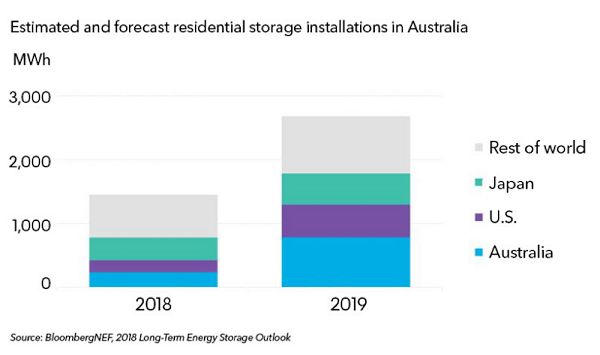 All up, BNEF expects Australia to account for a whopping 30 per cent of global battery storage demand in 2019. “State governments in Australia are getting behind residential storage – solidifying Australia as one of the most attractive markets in the world,” the report says. In South Australia alone, a total of 600 SA homes have so far been approved to install batteries (101 have already been installed) through that state Coalition government’s scheme, which is targeting up to 40,000 properties. Victoria, meanwhile, looks set to follow suit with its own subsidy scheme promising $40 million for battery rebates for as many as 10,000 homes. we would ever be able to afford a battery. Because we have a main road at the top of our property the southern ports highway and a quite busy road at the bottom of our property if it was possible to come to some sort of a plan to be able to afford a battery I could allow the provider to put signage both top and bottom of our property I am probably dreaming but I live in hope.Would you please give me some sort of an answer.